Most projectors come with very weak speakers—if they even have any at all. This means you’ll pretty much have to use external speakers for the sound. How to get the sound from the projector to the speakers isn’t always very intuitive. We’ve put together an easy step-by-step guide that will help even the most technologically challenged user get their projector’s audio up and running. This will make sure that you don’t cause any damage to your equipment (or shock yourself) while you’re completing the set-up process. It also prevents you from getting those annoying speaker feedback noises when you’re plugging everything together. Are you running the projector directly to the speakers, or are you using a receiver to give you multiple audio channels? (>>>If you still don’t have projector speakers check great deals here) Where will you place the projector in the room in relation to the speakers or receivers? Figuring these details out ahead of time will let you figure out how many cables you’ll need and how long they’ll have to be, which can save you some frustration as you’re completing the set-up. This will typically be in the same place on the projector as the other connection ports, like the power and signal input, though it will differ from model to model. Once you’ve found the audio jack, make sure it is accessible while the projector is in use. This will primarily be a concern for those with ceiling mounts for their projectors. >>>Related Guide: How To Hang A Projector Screen From Ceiling? If you have a ceiling-mounted projector, you may find it easier to take the projector down to plug in all the wires. If you do this, make sure you put it back into place before continuing with the set-up—you don’t want to go through the entire process only to realize the cable isn’t long enough. If you still don’t hear the audio from your projector at this point, all is not lost! There is likely a simple fix for your issue, though you will have to do a bit of detective work to figure out where the problem actually lies. Ask yourself the questions below to diagnose the source of your audio woes. Can you still hear the projector’s speakers? The speakers built into the projector should deactivate once external speakers are connected. 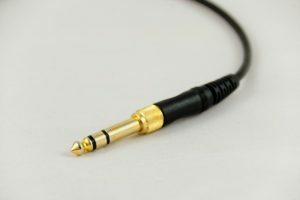 If you still hear sound coming out of the projector’s speakers, you’ve either connected the speaker cable to the wrong input port, or it’s not plugged in completely. Double-check the connections on the projector and try it again. Is the projector producing audio? Turn on the projector and make sure it’s playing something that should be making a sound. Check the settings to make sure it’s not on mute and that the system’s volume isn’t turned down too low. Can you hear other audio through the external speakers? The process of testing this differs depending on whether the speakers are dedicated to the projector or part of a broader sound system. If they’re dedicated speakers, hook them up to another device, like a laptop or TV. Adjust the speakers until they’re giving you a sound you like, then plug them back into the projector. If you’re using an audio receiver, flip to a channel for another device. If the audio’s working fine there, double check what channel you’re using for the projector, and make sure all the cables are fully connected. The steps above are obviously for connecting speakers to your projector using audio cables, but more and more homes use Bluetooth speaker systems instead (>>> Find best priced Bluetooth home audio systems). Connecting through Bluetooth can save you the hassle of securing cords, and can be especially helpful in ceiling-mounted projector systems—if you can get it to work on your equipment. Most projectors don’t come with wireless capability. A Bluetooth transmitter can allow any device to send its audio wirelessly (>>> Find top value Bluetooth transmitter here). Simply plug it into your projector’s audio out port. Most transmitters will pair automatically with any available Bluetooth speakers the first time you plug them in. If they don’t, bring the speakers closer to the transmitter and make sure both the speaker and Bluetooth are turned on, then follow the device’s instructions for manually pairing. 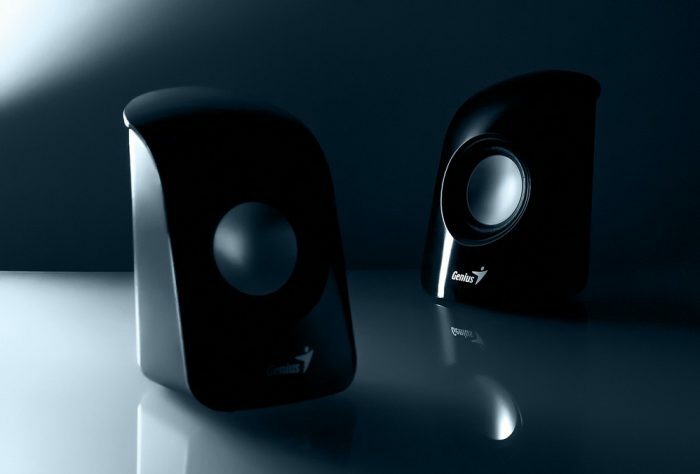 Troubleshooting sound issues with wireless speakers can be trickier since the wireless connection adds a new variable. Start by asking the troubleshooting questions above. If both the projector and the speakers are functioning correctly, the issue is with the Bluetooth connection itself. Re-set your wireless router, then turn the speaker’s Bluetooth off and back on and re-pair the transmitter. This should get you back up and running. Whether you’re connecting speakers wireless or with traditional audio cables, the devil is in the details. Most of the time people are having trouble there’s a simple solution they’ve overlooked. Hopefully, this guide has helped you pinpoint any problems preventing you from getting your projector’s sound to your speakers! Previous articleHow Long Do Projector Bulbs Last?